Nineteen countries. Over 60 institutions. More than 200 authors per paper. The large scale of these numbers gives a clue as to just how hard it is to study the genetics of mental illness. They describe the scope of collaborations conducted by the Psychiatric Genomics Consortium, a group that does meta-analyses of genome-wide association studies (GWAS) focused on psychiatric disorders. GWAS, first reported in 2002, are a way to comb through the genome in an unbiased fashion, looking for genetic variations—often in the form of single nucleotide polymorphisms, or single-letter differences in the DNA code—associated with a specific trait or medical condition. The Consortium began in 2007 with a teleconference among scientists studying ADHD, bipolar disorder, major depressive disorder, and schizophrenia. Autism researchers joined the team soon after. 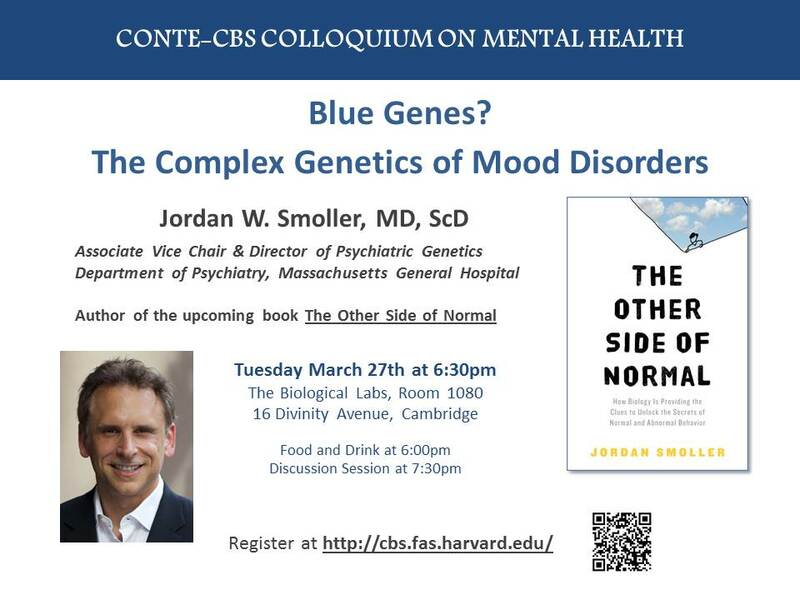 A leader in the Consortium, Jordan Smoller, MD, ScD, Director of Psychiatric Genetics and Associate Vice Chair in the Department of Psychiatry at Massachusetts General Hospital and author of the upcoming book The Other Side of Normal, will be speaking in next Tuesday’s Conte-CBS Colloquium on the genetics of mood disorders. Smoller is also an associate professor of psychiatry at Harvard Medical School. 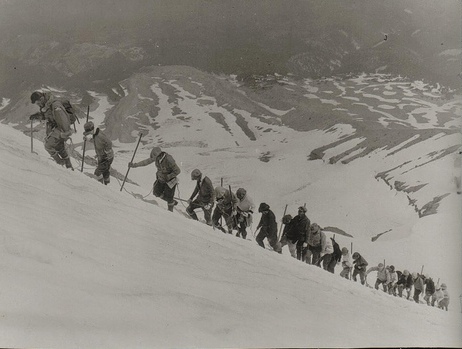 Smoller and his colleagues sometimes describe their work as a journey “from DSM to DNA”— from the symptom checklists for mental illnesses in the Diagnostic and Statistical Manual of Mental Disorders (the holy book of psychiatry) to the genes that influence susceptibility, and may eventually lead us to the biological roots of the disorders. Here we take a look at the role of GWAS in this important journey, the challenges associated with them, and what they’ve taught us so far. Why is it important to study the genetic basis of psychiatric disorders, if the genetics are so complicated and environmental factors are also at play? In order to design new and improved drugs for psychiatric disorders, scientists need to know: Which biological processes are disrupted? What molecular pathways should be targeted for correction? Identifying the genetic variations associated with a disorder can provide valuable clues on these fronts. 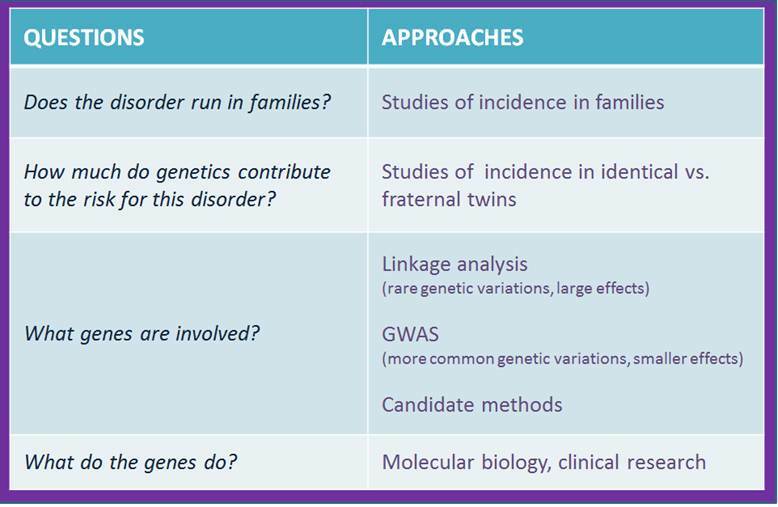 How do GWAS fit into the big picture of research on the genetic basis of psychiatric disorders? Modified from Figure 1 in Smoller JW, Block SR, Young MM. Genetics of anxiety disorders: the complex road from DSM to DNA. Depress Anxiety. 2009;26(11):965-75. It’s well-established that many mental illnesses run in families. In many cases the extent of heritability has been determined by twin studies—most simply, comparing the percent of identical twins both having the disorder to the percent of fraternal twins both having it. The big question right now is, which genes are involved? GWAS, one way to address this question, tend to reveal common genetic variations, each with a small impact, while another approach—linkage analysis—tends to identify rare genetic variations, each with a large effect. There are also candidate approaches, where researchers examine genes suspected to play a role in the disorder on the basis of prior biological knowledge. It is hoped that the findings of GWAS, linkage analysis, and candidate approaches will together spark molecular biology studies that illuminate our understanding of the fundamental pathology of various mental illnesses. What are the biggest challenges of the GWAS approach? Typically, each common genetic variant identified as being associated with a disorder by GWAS is only found in a subset of individuals with the disorder and contributes just a tiny amount to the risk of developing that disorder. Even taking this into consideration, the findings of the initial set of GWAS on psychiatric disorders have been considered disappointing by many in the field. Few risk genes or protective genes have been clearly identified. Psychiatric genetics investigators have recently published an appeal, “Don’t give up on GWAS,” addressing precisely these concerns. They argue that it is still early days in this field, and more statistical power is possible as more and more research teams band together. Another important strategy moving forward will be the idea of “going deep” –better addressing complexity in the phenotypes, or observable characteristics of disorders. For instance, rather than considering together all individuals with anxiety disorders, one could look separately at individuals with social anxiety, specific phobias, or anxiety occurring in combination with another mental illness. Or, rather than studying schizophrenic patients in general, one could focus on a subset with higher or lower cognitive dysfunction or a subset that responds well to antipsychotics versus one that does not. What are some of the latest findings of GWAS studies on mental illness? As highlighted in a blog post by National Institute of Mental Health Director Thomas R. Insel, Consortium researchers, including Smoller, last fall published the largest GWAS to date on schizophrenia and bipolar disorder. The schizophrenia study included approximately 18,000 patients and 34,000 controls, and the bipolar study included about 12,000 patients and 52,000 controls. Five new schizophrenia loci (specific regions of chromosomes) were identified. An association of interest was found near the MIR137 gene and several targets of this microRNA, which is believed to regulate neuronal development. For bipolar disorder, a new susceptibility locus was identified near the ODZ4 gene, thought to be involved in cell surface signaling and neuronal pathfinding. Importantly, previously identified loci for both disorders were confirmed, and there was some “cross talk”—that is, some of the same regions were associated both with schizophrenia and with bipolar disorder. What happens when we get “from DSM to DNA”? Can we go the other way? Certainly the journey from DSM to DNA is not a one-way street. As we understand more about the biological mechanisms of psychiatric disorders and how these mechanisms vary with the range of phenotypes within each disorder, our ability to classify and diagnose mental illness is likely to improve as well. This is my first visit to your blog. you told is about the The Consortium began, Diagnostic and Statistical Manual of Mental , the biggest challenges of the GWAS approach etc . This is a wonderful article, Given so much info in it, i like your blog really,I Really appreciate you for sharing this post.